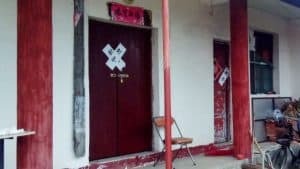 Since the new Regulations on Religious Affairs came into effect in February 2018, the Chinese authorities have intensified the suppression of traditional Buddhist temples, a number of them being sealed off and shut down. 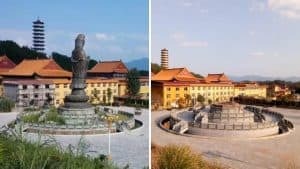 Bitter Winter previously reported that in Yangxin county alone, under the jurisdiction of Huangshi city in central China’s Hubei Province, more than 100 temples have been closed down. Behind the scenes of every shuttered temple is the pain and sadness of countless believers. Linggan Temple (literal translation: “Inspiration Temple”) is located in Yitang town in Yunmeng county, under the jurisdiction of Hubei’s Xiaogan city. The temple’s owner, who is in her sixties, spent 100,000 RMB (about $14,900) to build the temple’s Sanbao Hall. It wasn’t until last year that she fully repaid the money used to build the hall. Officials sealed off The Sanbao Hall of Linggan Temple. 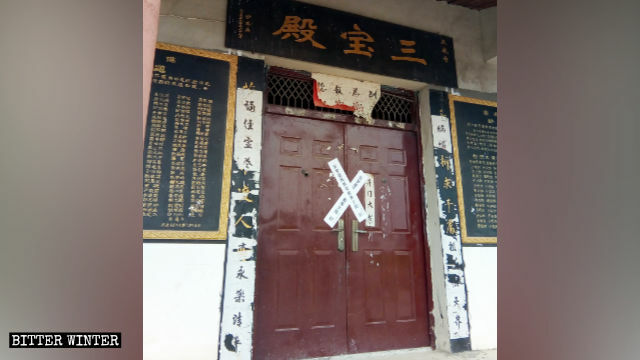 On October 12, 2018, two officials from the county’s Religious Affairs Bureau arrived at Linggan Temple and sealed it off on the grounds that it did not have a religious activity venue registration certificate. Incense-burning and memorial services were prohibited, and worshippers stopped coming. This posed a serious threat to the livelihood of the temple’s owner and two elderly believers, one of them in her nineties and in need of medication, that for many years lived in the temple. 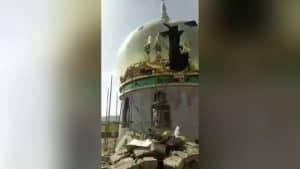 To get the ban on the temple lifted as soon as possible, the temple’s owner made multiple inquiries with the county’s Religious Affairs Bureau, but the officials were delaying the process. In late January of this year, overstressed, the temple’s owner developed high blood pressure and had to be hospitalized, spending more than 5,000 RMB (about $750) on medical expenses, all of which was borrowed. Discharged from the hospital and facing heavy financial burden, the temple’s owner grew increasingly despondent: The government’s closure of the temple put her in a desperate situation. Seeing no way out, she attempted to commit suicide by poisoning herself. Afraid that her suicide attempt could be linked to the closure of the temple, officials from the county’s Religious Affairs Bureau allowed the temple to be reopened. However, they still did not allow incense-burning or Buddhist memorial services. “Now, we can only rely on modest donations from worshippers to eke out a living. We can just take it one day at a time,” the temple’s owner said with a sense of helplessness. Equally miserable is the plight of an abbot in his seventies at Baima Temple (literally, “White Horse Temple”) in Chenhe town in Hubei’s Yingcheng city. 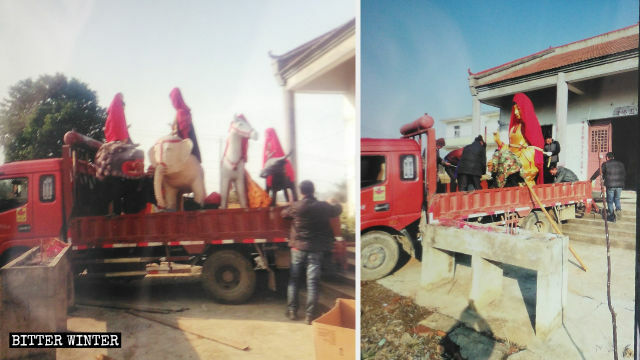 Buddhist statues in Baima Temple were removed. 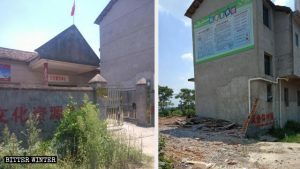 In November 2018, officials from the city’s Religious Affairs Bureau claimed that the temple was illegal and ordered the abbot to demolish the temple. 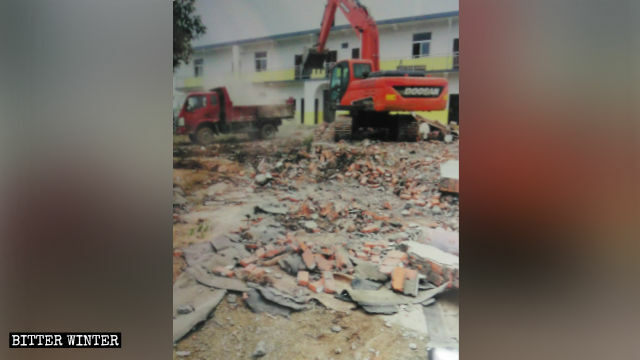 The abbot was unwilling to do oblige, so, over a month later, several government officials brought in excavators and trucks to forcibly demolish the temple. 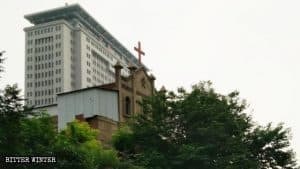 The abbot argued with the officials, telling them that he had spent tens of thousands of RMB to renovate the temple; if it is demolished, the government should compensate him. “There is no compensation! Tear it down!” one government official demanded. Immediately, demolition workers moved five large Bodhisattva statues out of Baima Temple, and then used excavators to raze the temple to the ground. Baima Temple was razed to the ground. Around the same time, more than ten officials and police officers from Lidian town, under the jurisdiction of Anlu city, arrived at the local Jile Buddhist Temple (literally, “Bliss Buddhist Temple”). One official said, “The state is clamping down on religious belief now, to clean up gang crime and eliminate evil. You don’t have a permit from the government, therefore, the temple is illegal, so it has to be shut down.” The official then warned the temple’s abbot that he is not allowed to wear a monk’s robe outside the temple. Jile Buddhist Temple was sealed off. The abbot countered that he applied for a religious venue registration certificate as early as 2014, but the government continuously refused to issue it. The police said that they had come to carry out their official duties, and the abbot should not disobey. They then forcibly locked the temple’s entrance and the abbot’s bedroom, sealing off the premises with tape. 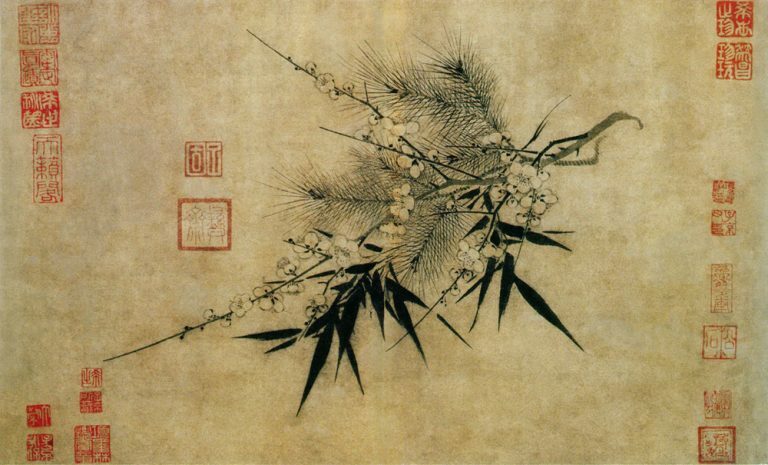 In the cold winter season, the abbot was left without warm clothes and proper bedding to sleep in a room adjacent to the temple.